My myrtle wood supplier in southern Oregon sent me some of his personal stash of curly myrtle and sinker redwood for his build. 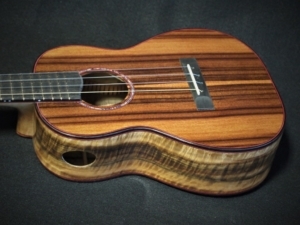 Here is a Sinker Redwood and Myrtle Tenor Ukulele. 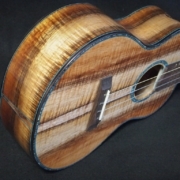 Sinker Redwood–you know, that stuff that’s been laying at the bottom of the river for who know’s how long–comes in a variety of colors and looks. It’s nice to know that at least some of this old wood can be reclaimed and used in new projects. It usually is a little less dense than newly cut woods and exhibits a bold and lustrous tap tone. Ahh, the back and sides! 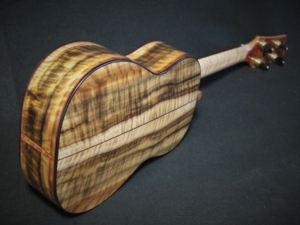 Really nice curl and color in this Myrtle Wood. I think the pictures speak for themselves. 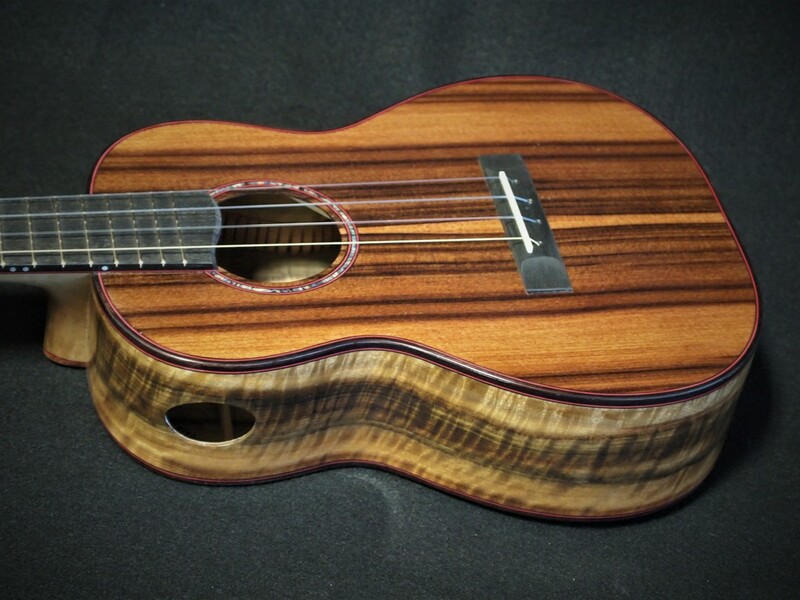 This wood is approximately the same density as Koa from Hawaii. 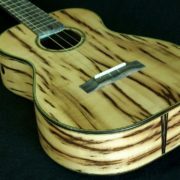 It works well and has the same tonal qualities as Koa. 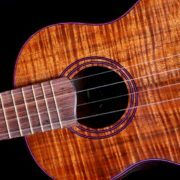 I have used it many times for complete instruments. Ahh, the neck! 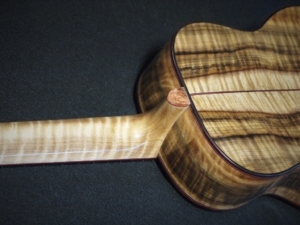 From the same tree came this solid curly myrtle neck stock. Ooh, so lucky! A perfect match for the sap wood running down the middle of the back. 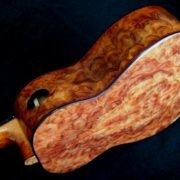 The accent wood is Australian Mallee Burl. 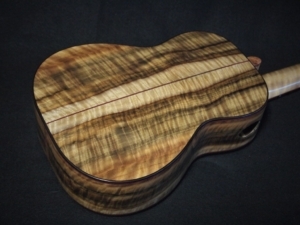 Fortunately, I have a few more sets of this Myrtle Wood for additional builds with any number of cool tonewood tops.